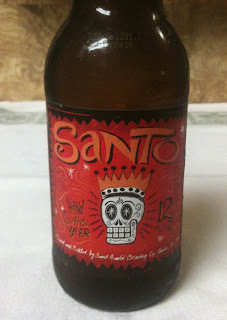 A late Friday night, but I am just now trying a Santo from Saint Arnold Brewing Company. Twelve ounce bottle. 4.7% ABV and 17 IBUs are shown on the web site. They list Santo as a "black Kolsch" and that it is technically not a style, but is their own dark variation on a Kolsch. 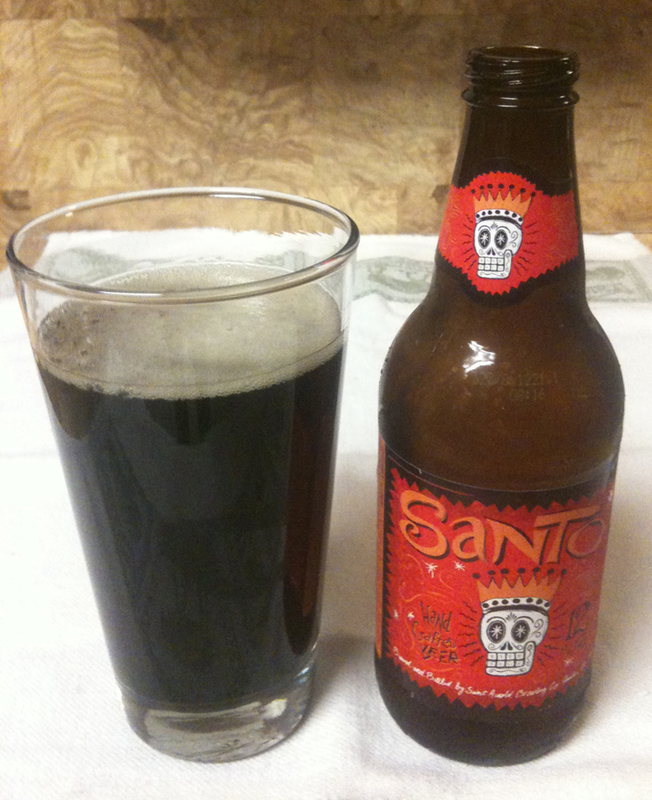 Santo poured with a small, light to medium brown head. The beer is fairly dark, with the color being more of a ruddy brown when held up to the light. Aroma has a bit of coffee. This beer is fairly mild, with some decent malt. I don't get a lot of other flavors, just that of a good quality milder beer.